-- Ellie Wayne doesn’t just live. She survives. New York Times bestselling author Sharon Sala brings emotional intensity to an unforgettable story of survival, empowerment and raw courage. Ellie Wayne has grown up in frightening circumstances, damaged by a sexually abusive father and mentally fragile mother. Scarred and still threatened by a father she hates and fears, Ellie believes her future holds nothing more than danger, shame and secrets . . . until the unspeakable happens, and Ellie is forced to choose. She can claim her life or continue to hide in the shadows. Readers will cheer for this amazing woman as she struggles to leave victimhood behind. 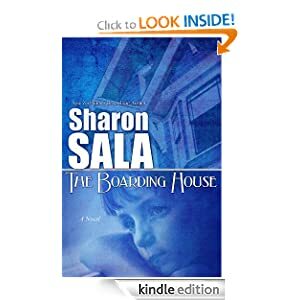 The Boarding House or to sample this book for FREE! -- Grade Level: P and up | Ages: 2-up. Frank was a monster who wanted to dance. So he put on his hat, and his shoes made in France... and opened a jar and put ants in his pants! So begins this monstrously funny, deliciously disgusting, horrifyingly hilarious story of a monster who follows his dream. Keith Graves' wacky illustrations and laugh-out-loud text will tickle the funny bone and leave readers clamoring for an encore. 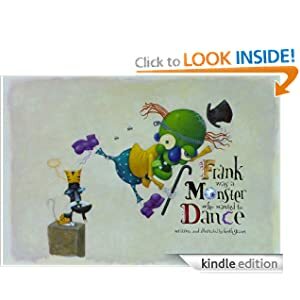 Frank Was a Monster Who Wanted to Dance or to sample this book for FREE! -- For a hundred and twenty years, the identity of the Whitechapel murderer known to us as Jack the Ripper has both eluded us and spawned a veritable industry of speculation. Mad doctors, Russian lunatics, bungling midwives, railway policemen, failed barristers, weird artists, royal princes and white-eyed men. All of these and more have been put in the frame for the Whitechapel murders. Where ingenious invention and conspiracy theories have failed, common sense has floated out of the window. 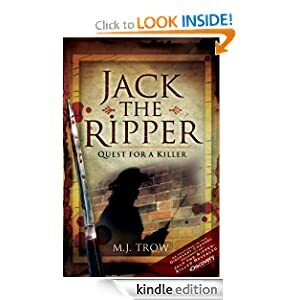 Jack the Ripper: Quest for a Killer or to sample this book for FREE! -- Eddie is a grizzled war veteran who feels trapped in a meaningless life of fixing rides at a seaside amusement park. His days are a dull routine of work, loneliness, and regret. Then, on his 83rd birthday, Eddie dies in a tragic accident, trying to save a little girl from a falling cart. He awakens in the afterlife, where he learns that heaven is not a lush Garden of Eden, but a place where your earthly life is explained to you by five people. These people may have been loved ones or distant strangers. Yet each of them changed your path forever. The answer, which comes from the most unlikely of sources, is as inspirational as a glimpse of heaven itself. 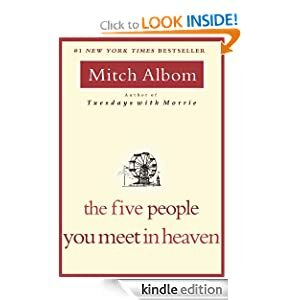 In The Five People You Meet in Heaven, Mitch Albom gives us an astoundingly original story that will change everything you've ever thought about the afterlife -- and the meaning of our lives here on earth. With a timeless tale, appealing to all, this is a book that readers of fine fiction, and those who loved Tuesdays with Morrie, will treasure.